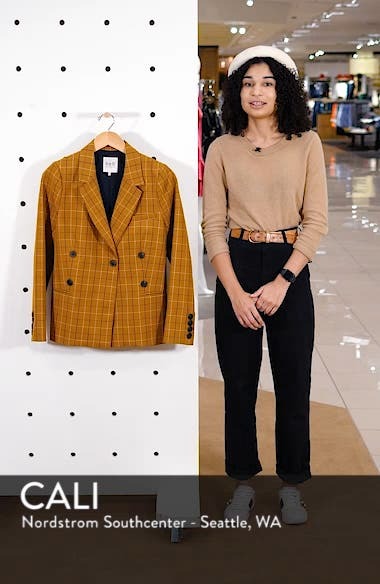 Mustard-hued plaid lends vintage charm to a slightly boxy blazer styled with tortoiseshell buttons in the double-breasted style. Choose a sizeTrue to size. XS=0-2, S=4, M=6, L=8-10.